One of the most versatile materials of today’s industrial world – stainless steel. Machining steel is a process during which science, knowledge, expertise, experience and art are combined as to creative a high-end products. In order to produce more for a shorter period of time without sacrificing quality, professionals must firstly determine the machinability of the material yet to be altered. This factor determines the specific ways in which this the steel type is to be cut, at what speed and what will be the choice of tools. This may also be called the investigatory phase during which the material is being rated and sorted in the particular section. Some of the most important factor are: tool life, cutting speed and surface finish. Almost every type of stainless steel is machined on high-production equipment, so it is safe to say that this is a routine. 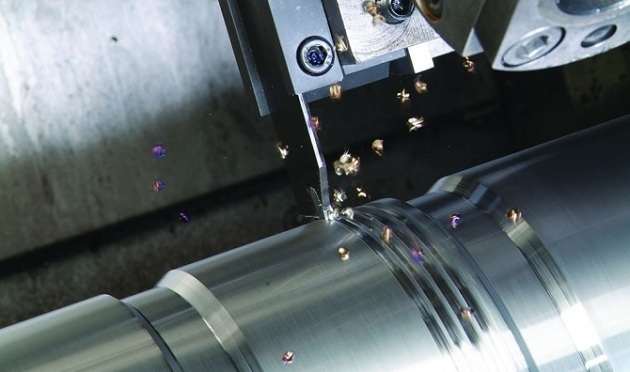 As of late, some manufacturers have turned to free-machining stainless steel, abandoning certain standard types due to the aforementioned investigation – the level of machinability. The types of stainless steel that have been reported by many manufacturers as the hardest ones to machine are 200 and 300. This occurs as a result of their gumminess and rapid rate hardening. On the other hand, 400 series stainless steel do not have the machining problem, but they create a stringy strip that may slow down productivity. However, facts show that every workshop that has invested in full CNC equipment for machining steel has witnessed inevitable improvements. This is made possible because these machines make it possible for the users to make the best of all fixed assets and start the whole manufacturing process off on the right foot. In addition, by turning to machining steel, a manufacturing company will be able to meet the expectations of the customers for just-in-time delivery all while lowering costs and increasing productivity. The latest innovative machine sin this field are build to last, but also, they provide lower cutting force and heat production which in turn leads to lessening the risk of tool/workpiece deflection/distortion. These features are highly beneficial regarding any kind of job, but especially when it comes to milling thin-wall workpieces or very hard metals. It should go without saying that only CNC machines that provide attention to detail regarding the end product (the metal components ) are of utmost use to company owners looking to creave a faster and more efficient customer service.